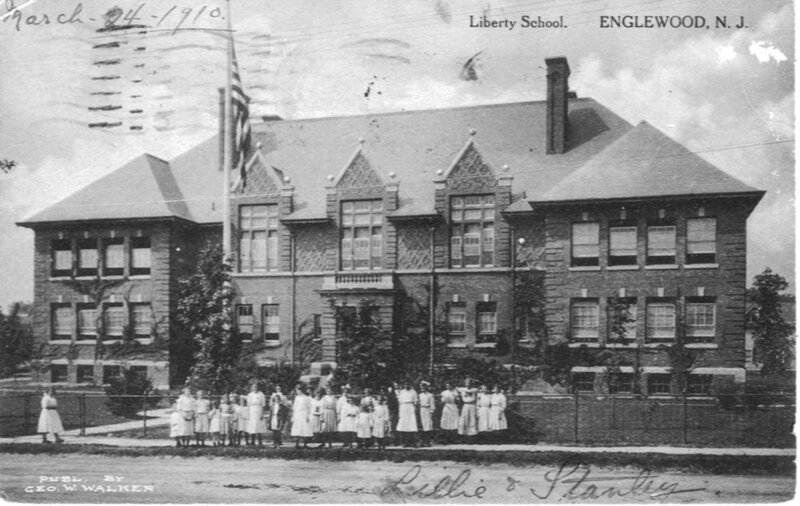 The area immediately surrounding the Liberty School is rich in history. In 1776, a Liberty Pole was erected nearby to celebrate the repeal of the Stamp Act. The area became known as Liberty Pole, serving as George Washinton's headquarters in 1780, and was the location from which Alexander Hamilton wrote a letter to James Duane believed to be the first documented calling for what would become the Constitutional Convention. The area is also home to a Memorial Wall listing the names of Englewood residents who died in wartime in the armed service of the U.S. The Memorial Wall faces "The Monument", which was a War Memorial erected in 1924.